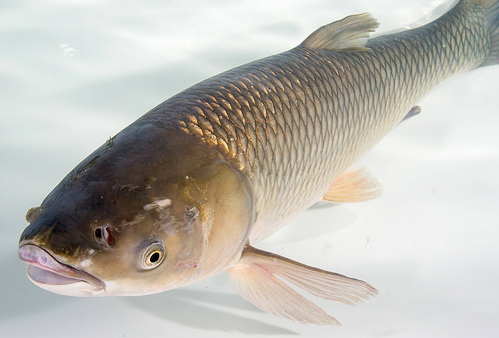 White Amur (uh-moor), also known as grass carp, originate from the Amur River that forms a border between China and Russia. 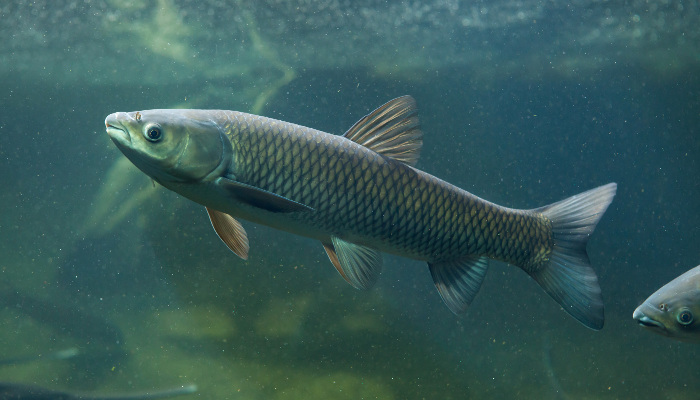 The Amur is a true example of a herbivorous fish, surviving on nothing but plant matter alone. These fish grow very rapidly with adults reaching nearly 4 ft in length and weighing up to 75 lbs. They live an average of 12-15 years. These fish were imported to the southern US. in 1963 to control algae growth in ponds along fairways on various golf courses. 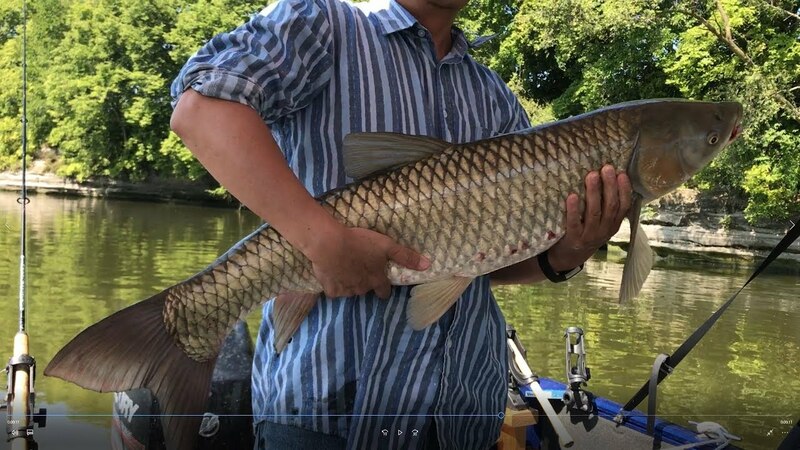 To accommodate an increasing demand for white amur, yet to avoid the possibility of them becoming established in systems where they are not wanted, a sterile triploid form was developed. 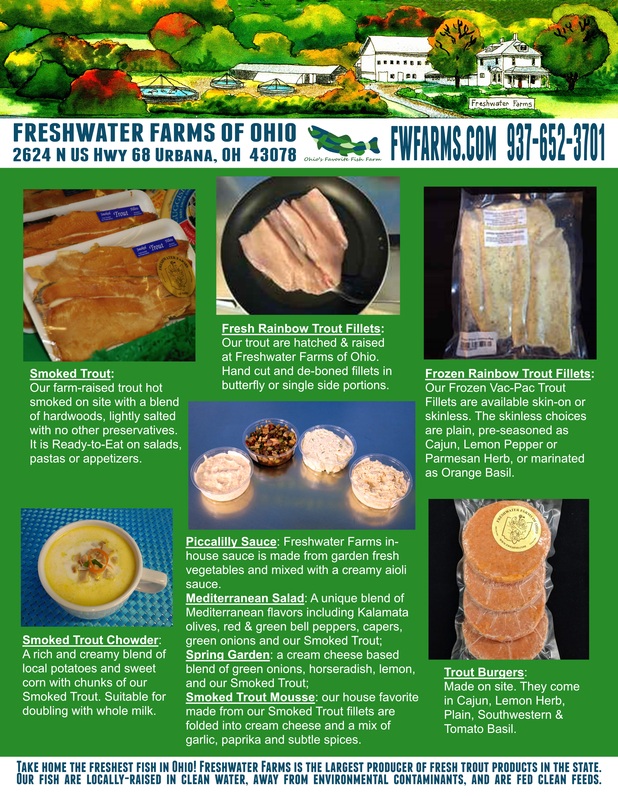 In 1987, the Ohio Division of Wildlife allowed the importation of these forms of Amur and shortly thereafter, Freshwater Farms began to carry them for their pond customers. Real world experience has shown the continued control of aquatic vegetation by White Amur is a safer, easier and more economical approach over the long term than any other physical or chemical control strategy for ecologically enhanced and self-sustaining ponds and lakes. If you are looking for a way to control vegetation and/or algae in your pond, we recommend adding 10-15 per acre for a normal pond and more for a fertile pond. Stop in and talk to our experts for advice in how adding White Amur can improve the health of your pond!